Indie Retro News: Tower 57 - Retro inspired shooter gets an Amiga release! Tower 57 - Retro inspired shooter gets an Amiga release! After all the news updates regarding Benitosub and Cyangmou's 16-bit shooter ' Tower 57 ' ; which is an arcade love child of Alien Breed and Chaos Engine. 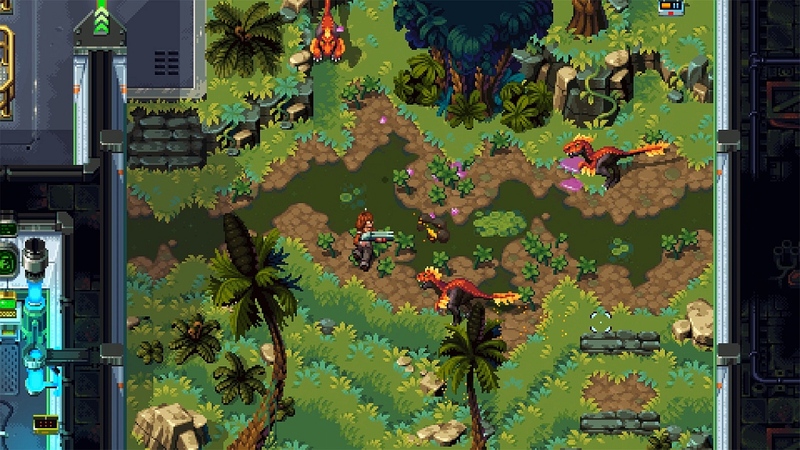 We are pleased to announce this fantastic game has been released for the Amiga such as AmigaOS 4.1, MorphOS and AROS. This game that smashed through a Kickstarter success and Steam Greenlight, was previously released for the PC and was regarded as a great game that anyone could pick up and play. If you loved spending time on classic Amigas and blasting away enemies in Alien Breed or Chaos Engine, then Tower 57 released by Pixwerk and 11 bit studios is totally the game for you! It features awesome retro aesthetics, cooperation, diesel-punk pixel art, destructible environments, menacing adversaries, Dinosaurs, and much more to make this game a very worthy purchase indeed!